While Disney Animation and Pixar carefully release one movie per year, and sometimes not even that (there’s no Pixar movie this year and there won’t be a Disney Animtion film in 2015), DreamWorks Animation cranks out 2-3 films almost every year. They had three movies on tap for 2015 with Home, B.O.O. : Bureau of Otherworldly Operations, and Kung Fu Panda 3, but now B.O.O. had been bumped from its June 5, 2015 date. The film tells the story of a pair of ghosts who go to work for the B.O.O., an organization dedicated to protecting humans from evil spirits. When the agency comes under attack, the two rookies must work to save the day. Hit the jump for more. B.O.O. 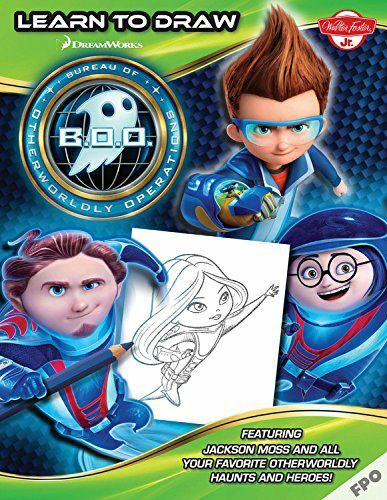 : Bureau of Otherworldly Operations features the voices of Seth Rogen, Melissa McCarthy, Rashida Jones, Octavia Spencer, Matt Bomer, and Bill Murray. Regarding the decision to delay B.O.O., a DreamWorks Animation spokesperson told THR, “Animated features are our most valuable assets and we regularly evaluate how to maximize their value, including determining the most opportune time to release a film.” I always thought that all the toys and other merchandise created by the animated features were the company’s most valuable asset. In fact, DWA was recently on the verge of being bought by Hasbro, but that deal fell through. Pushing B.O.O. off the schedule currently leaves DreamWorks Animation completely out of the summer movie season for the first time since 2009. The studio is never hurting for product, and they also have a summer gap in 2016 with Boss Baby scheduled for March 18th and Trolls set for November 4th. Kung Fu Panda 3 is an incredibly strong anchor, so it will be interesting to see if B.O.O. remains in 2015, or if DreamWorks Animation will use it to beef up their 2016 offerings.